The Toshiba LED TVs 55" Class (54.6" Diag.) 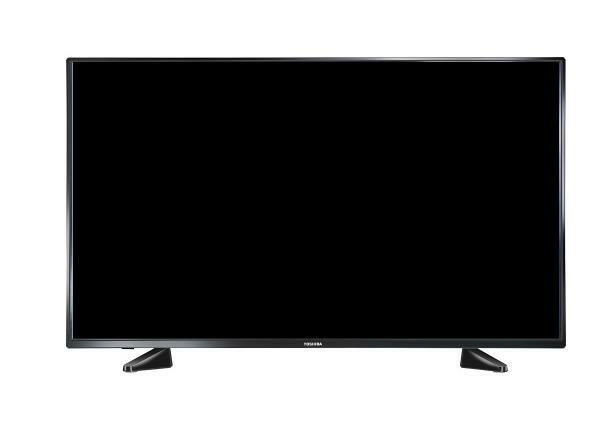 LED 1080p HDTV by Toshiba at Royal Furniture in the Memphis, Nashville, Jackson, Birmingham area. Product availability may vary. Contact us for the most current availability on this product. Stunning picture quality. Superior sound. Energy-efficient engineering. A suite of smart high-end technologies that take the brainwork out of great home theater—all encased in a sleek, space-saving design, and infused with Toshiba innovation. Want top-of-the-line home entertainment? You've come to the right place. The Toshiba LED TVs collection is a great option if you are looking for Electronics in the Memphis, Nashville, Jackson, Birmingham area.